Home»Blog»What are your top Lawn Mowing challenges in Dallas? 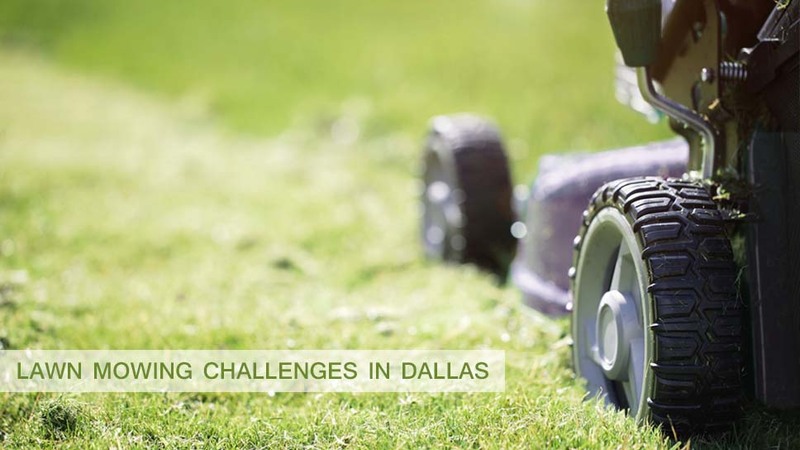 What are your top Lawn Mowing challenges in Dallas? Being a lawn owner in Dallas doesn’t come so easy especially when you plan to do it yourself. However, with the help of lawn treatment services Dallas, this shouldn’t be a problem. Whether it is summer or winter, some challenges are more peculiar to the Dallas area than others. Now the choice entirely lies on you whether you plan to engage the services of lawn care professionals or apply the Do-It-Yourself therapy on your lawn. We have discussed top lawn mowing challenges you will be faced with as a lawn owner in the Dallas area. Fighting weeds can be a tough activity when you consider the fact that any careless weed control application might also affect your grasses as well. Crabgrass is a type of weed that is quite common in Dallas and plagues a lot of lawns. It can be quite difficult to notice at first and is very stubborn to eradicate completely. Direct application or manual pulling will have zero impact on the underground seeds. The best way to fight such weeds is to apply treated fertilizers containing herbicides to kill them from inside the soil. A major challenge for Dallas lawn owners is having a dried patch or discolored patches on your lawn. It could be because of a variety of reason. If you are experiencing a drought, it could be the cause and regular watering should take care of this perfectly. However, if you notice there is no improvement, it could be because of a deeper problem of which fungal attack is the likely cause. These fungi live in the soul and affect the grasses from the root. Treatment will involve the application of a treated fertilizer containing fungicides. Ants are the most common insects that affect lawn grass in Dallas especially fire ants. Only a consistent insecticide application will keep them off. Your soil will have to be treated with fertilizer consisting of potent insecticides that have no side-effects on your grass. If you are having an insect infestation, the best course of action is to get in touch with a Lawn Maintenance Company Dallas to come into the picture for best results. Watering the soil can be a chore when you have a very busy schedule. If you happen to be lawn owner, you will have to consider either finding time to do it or consulting with a Lawn mowing service to handle this for you. With the high temperature often experienced in Dallas, adequately keeping your lawn well-watered is a necessity or you might suffer the cost of lawn restoration.